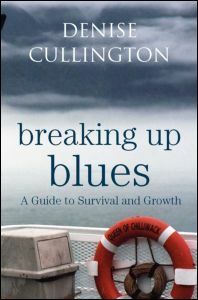 Written by a psychoanalyst, who has her own experience of break up, Denise Cullington is sympathetic but challenging. She takes you gently but firmly through the areas we would rather not think about – feelings of failure and of guilt; of hatred and envy; of sadness and loss - and shows the cost of pushing such feelings out of conscious mind. Facing up to emotional pain can be healing, and helpful for the future. Breaking up but doing it as well as possible; remaining together in a strengthened relationship; helping children face love and loss; learning from experience; discovering how your own defences get in the way of intimacy: all packed into this wise, readable and heartening book.